Question: My daughter is in grade 1. She is bringing home little books to practice reading with us. We also have lots of books around our house and I notice that she is starting to pick them up and read them. She loves to read and seems quite confident. I know it all sounds great but here is the problem. When she is reading, she often skips words and reads some words incorrectly. When this behavior occurs, I am not sure what to do. Should I point out to her that she skipped over a word and when reading a word incorrectly or should I just tell her the word or is there a better way to help her? I want her to remain confident and not be afraid to try new books. Can you help? Answer: It is very normal for emergent readers to do exactly what your daughter is doing. You know your daughter better than anyone, so if she is tired, reading just before sleeping, reading to your friends or relatives, or in other situations where you think she will just be frustrated or embarrassed, you probably won’t want to correct her. However, most of the time it will probably be just you and her, and/or other immediate family members, and that is when you find teachable moments. When she makes an error, begin by explaining to her that stories have to make sense. If the words that she is reading don’t make sense, then as a good reader she should stop and go back and try to figure out what is wrong. After the first few times, you may develop little natural short cut cues to relay this message. You may say something like; “makes sense?”, “huh?” or “mmmm”. You might incorporate a quizzical look or furl your brow, and then just utilize such gestures without saying a word. Soon, you won’t have to remind her at all, she’ll know when to go back on her own for most errors. Ask her to point to each word as she reads (Pointing is very important for beginning readers but as children progress, they should refrain from pointing as it slows them down). Maggie Cary, a National Board Certified Teacher has been an educator for over 18 years. She is certified in Secondary Education and holds a Master’s Degree in Early Childhood Education. Over the years she has mentored countless teachers and advised hundreds of parents. Mrs. Cary has taught children from preschool through high school. Audio books come in various forms today. You can download a book to your computer or PDA or you can listen the old fashioned way – by CD. Either way audio books are a fantastic resource for pre- and emergent readers. Children’s listening comprehension surpasses their reading ability when they are beginning readers. Audio books provide many benefits to children at this stage in their literacy development. 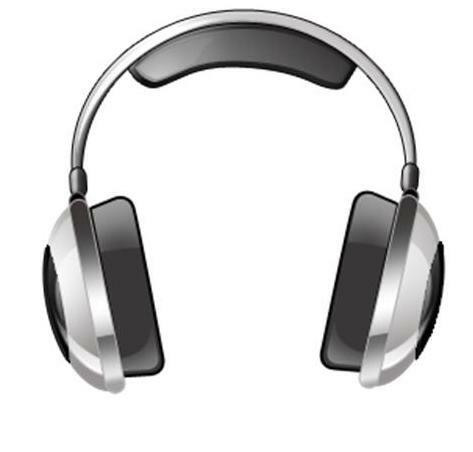 Improved listening skills – If you are able to provide headphones for your child as they listen to a book being read, you are more likely to help your child block out distractions and focus solely on listening to the story. Increased comprehension and vocabulary – Audio books are read by professionals who are able to use their voice to emphasize words and allow children to make meaning as they listen. Visualization – Children are able to make pictures in their minds of the book as they listen (if they don’t have a copy to follow along with). As children visualize, they are making meaning of the text. Visualization is an important comprehension strategy that children will continue to use as they begin to read independently. Fluency – As children follow along in the book and read aloud, they are building their fluency. In order for children to become independent readers, they must be fluent readers. Independent reading skills – By listening to audio books and following along in their own copy, children learn the skills that independent readers employ to read and comprehend text. Consider purchasing (or checking out from the library) several audio books for your child. Your child will be motivated to read and you’ll likely see a difference in your child’s reading ability. I’ve been posting about literacy based games this month. Reader’s Theater is not actually a game, but kids have fun participating in it! Reader’s Theater is a dramatic adaptation of a piece of literature. It typically involves children writing a script based on a book and then a dramatic read aloud of the script. Reader’s Theater is great for children’s communication skills. It provides an opportunity for them to develop fluency (when reading aloud) and collaboration skills (when working together to create a script). In addition, children learn to read with expression. Read what Reading Rockets and Scholastic have to say about Reader’s Theater. Reader’s Theater can be motivational to dormant readers. ** Dormant readers are typically your children who do well, but who are not intrinsically motivated to read on their own. Instead of having to read a whole book, the reader only needs to read parts of the book (really, the script, which is often shortened from the original text) with expression. I bet you will find that a dormant reader might actually enjoy reading when he is able to express himself a bit. Reader’s Theater can be a motivating reading activity for dormant readers and an engaging activity for emergent readers. Check out the web, there are a ton of resources for Reader’s Theater scripts already there, or make a script based on your child’s favorite book. Consider planning a Reader’s Theater experience for your next playgroup meeting. I bet your preschoolers will have fun. . . and they will learn from it, too!